Four stories about vines and wines that our family started to tell in 1962. One sole commitment to achieve excellence by making accurate and exacting wine producing choices that enhance the natural aspects of specific terroirs and the characteristics of a patiently matured product. This is CASA PALADIN, a winery whose doors are open to various Italian regions including Friuli, Veneto, Lombardy and Tuscany. 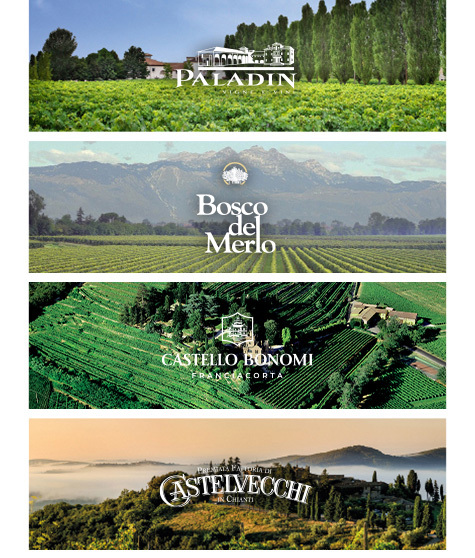 Italian lands that offer precious wine-making treasures that we cultivate with passion.